Each week on Lucky Dog, Brandon McMillan rescues an untrained, unwanted, 'unadoptable' shelter dog. In the days that follow, these dogs undergo a miraculous transformation as they learn to trust McMillan, master his 7 Common Commands, and overcome their behavior problems—ultimately becoming well-mannered pets and even service dogs. With his labor of love complete, McMillan unites each dog with a forever family. 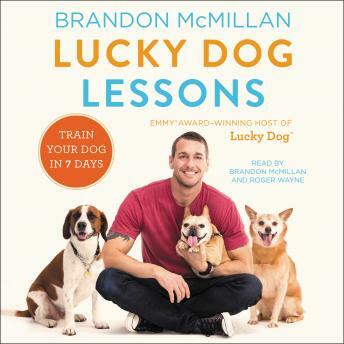 Now, in his first book, McMillan shares the knowledge he has gained working with thousands of dogs of every breed and personality to help readers turn their own pets into well-trained Lucky Dog graduates.